Available October 29, 2013 in the United States. Also available in audio from Macmillan Audio. Read by Ilyana Kadushin. when is, in the age of love and chocolate coming out in England? Hello again! 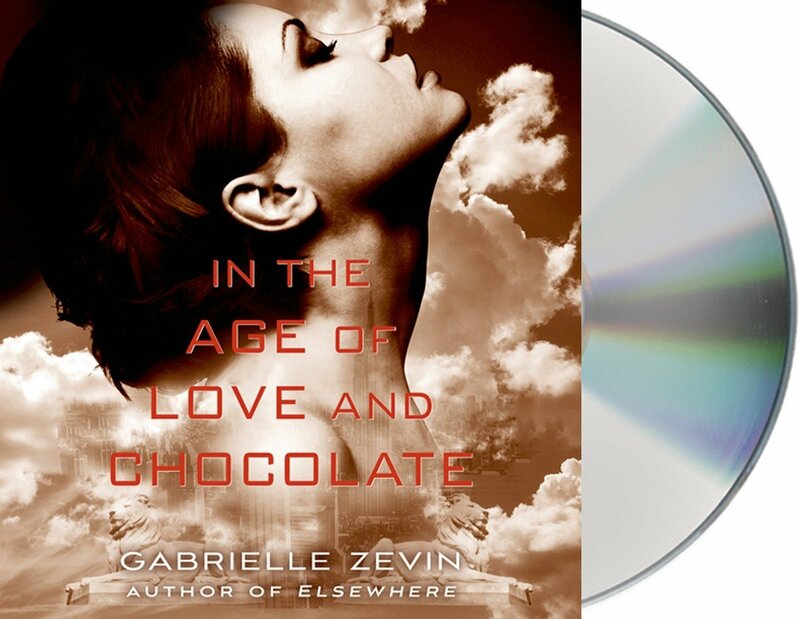 The UK release date is August 2014.
when is, in the Age of love and chocolate coming out in Germany? Thanks for asking. Sometime in 2014, I believe. Thanks for asking. I’m not entirely sure, but I’ll find out. In the UK, I imagine it will be no sooner than Summer 2014, as Because It Is My Blood doesn’t come out there until August 2013.
when will the audiobook be available? October 29, 2013. And the series will continue to be read by the fantastic Ilyana Kadushin. Thank you so much! I’m afraid it is. However, some of the characters are still alive at the end, so one never knows. Where there is life, there is hope, right? When will In the age of love and chocolate come out in Singapore? I can’t wait!!! I can’t wait for you to read it either! Let me ask around — I think the date might have been changed for Singapore. Singapore should publish at the same time as the US – October 29, 2013. I found this wonderful book of yours whilst doing a book report. These books our now my Favorite books.I read Almost 24/7. I was absolutely thrilled when i found out there was a third book. I finished, Because Its My Blood, this afternoon ,after reading for six hours strait, I am going strait to the nearest Book store tomorrow after school! What does DDT YLRPANG IS IMY IHTYMYO IKIDHARBIDWAETHY ITIMSLY IDHMR stand for?!?!?! I must know! I’ve been trying to figure it out for weeks!! Sorry! I’ve been meaning to post it to my website. It’s on my list. Thanks for asking. It’s already out! You can buy it RIGHT THIS VERY MOMENT. Thanks1 i can’t wait to read it! i loved you’re other books. hi, when this book are going to come out in french? I’m a french reader and i love the two books of the mafia of chocolate!!! Bad news! The third book will NOT be published in French at this time. There’s some chance this situation could change, and I’ll let you know if it does. Thanks very much for reading! —gz. Gabrielle I am one of those people who judge a book by its cover and that’s how I bought the first book that tells the story of Anya Balanchine. Loved it … I read the second and also really enjoyed. But now I do not find the version in Portuguese of the third book. It was published in Brazil? Sorry errors, do not know if I understood, I do not speak or write English and used the google translator. I would like a response. If you have not published in Brazil, has any plans? Thank you for your attention and I look forward answers. Thank you for writing, and I am glad you are enjoying the series! There are plans to publish the third book in Portuguese, but unfortunately, I do not know when that will be. I will update this website when I find out. —g. When this book coming out in France please? Thank you! Thank you for writing. At this point in time, unfortunately, there are no plans to publish the third Birthright book in French. Thank you for your answer! I look forward this book ! Unfortunately, the third book will not be published in French — the publisher feels that the audience for the first two books was too small to justify the cost of translation. I have a question; what is Anya’s mother’s name? Everyone’s name is said or heard except the mother of the Balanchine children. It’s Christina, it was mentioned in the first book, page 93. Hi Gabrielle! I was wondering if/how much the book series was inspired by the Godfather? I find a lot of similarities between Anya and Michael, with her refusal to take her father’s place yet how natural it is when she takes the role, proving it really is her birth right. Also I was wondering, what was the inspiration behind the female jail Anya frequently finds herself in? Still one of my favourite series of all time!